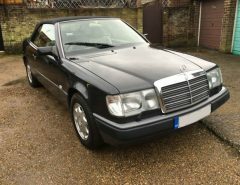 The car that is receiving the Automatic Gearbox Oil change and Flush is a Mercedes E320 W210 Petrol with the 722.6 automatic transmission. 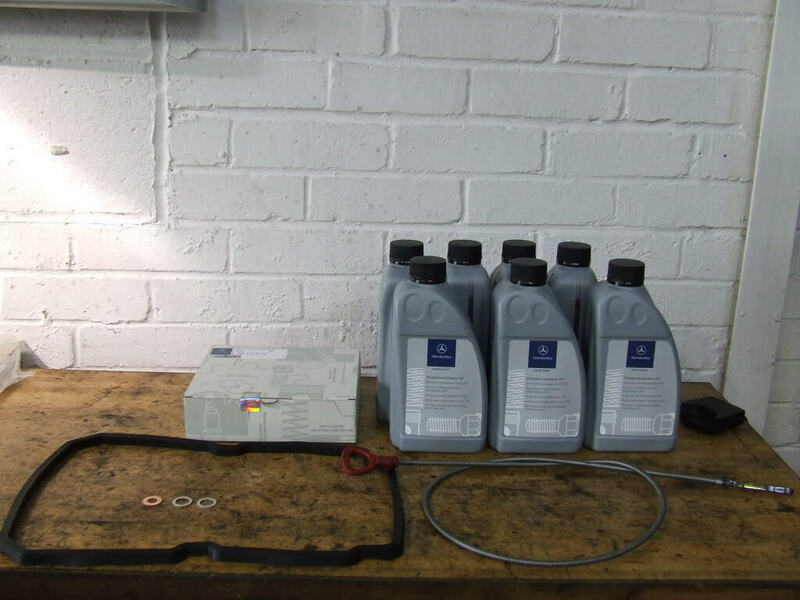 Before you attempt this service, ensure that the engine is hot (a 20 minute road test is recommended). 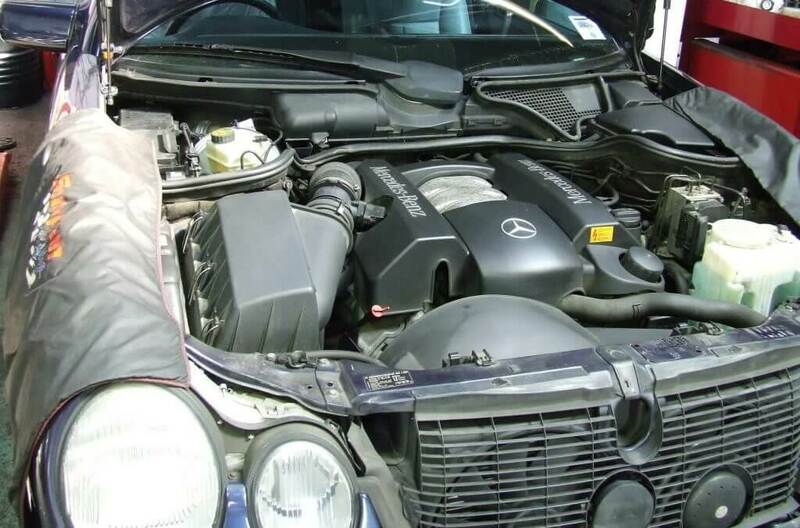 The parts you will need to perform the Automatic Gearbox Service for this particular Mercedes are shown below (ATF 000 98921 03 10 – Dipstick,filter pipe and sump seals). 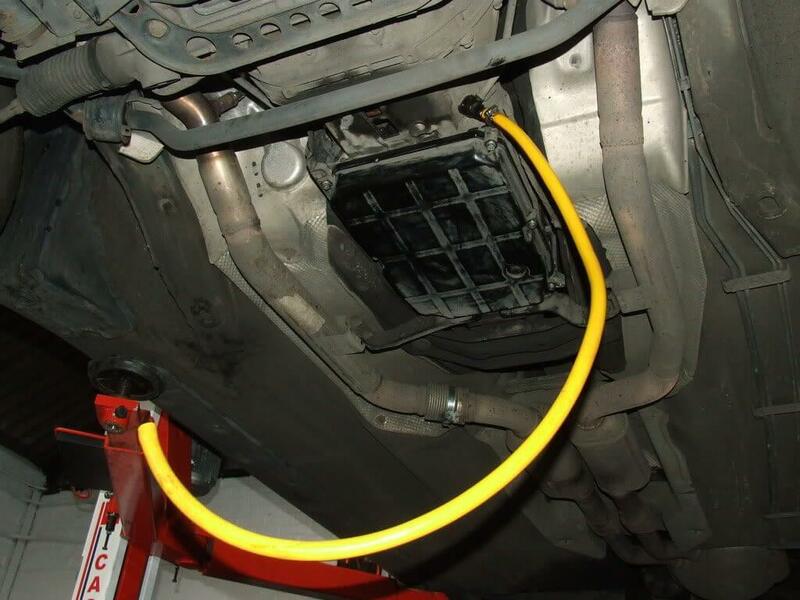 To begin the service, raise the car up and drain the fluid from the gearbox sump pan. You will need to use a 5mm Allen Key and tap it in with a hammer, these can be very tight/rusty! 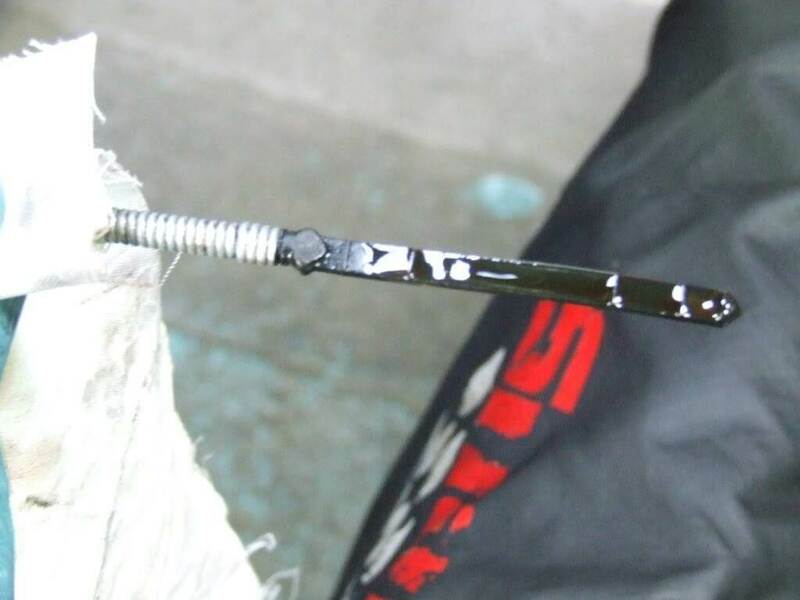 Once you have removed the bolt, let the old oil drain out, there should be approximately 3.5 litres of old ATF Oil. As you can see below, the oil is very dirty! The next step is to undo the sump pan retaining bolts, which there are 6 of them. Again, you may need to tap the torx socket in with a hammer as they are very tight and known to snap off easily. Start by unscrewing the front right bolt and unscrew it halfway and not fully! By leaving the front right bolts in, the fluid can drain from the drain hole until the sump is fully drained. Be careful when taking the pan off as it can be very hot. 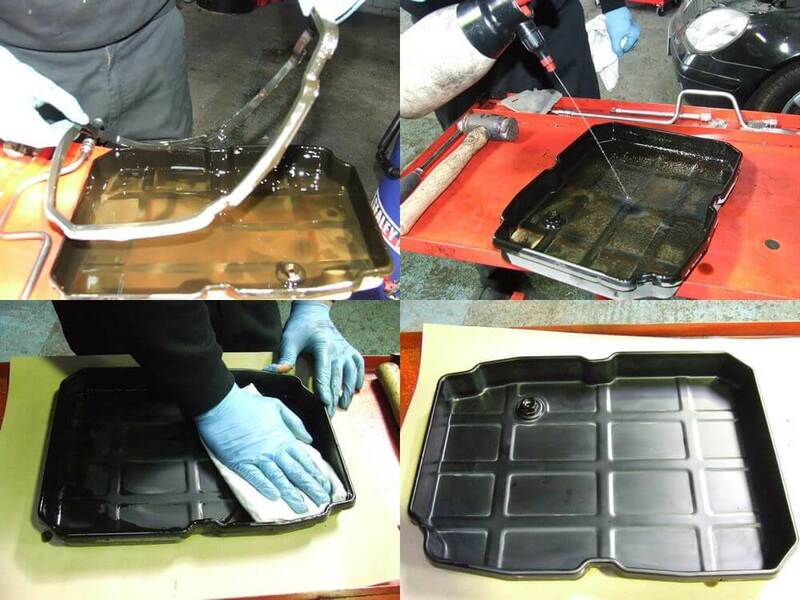 Once the pan is off, start by removing the gasket and then begin the clean the sump pan. 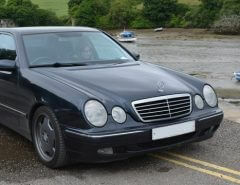 It is vital that the pan is immaculate, use brake cleaner to ensure this. Once fully clean, remove the old filter and gasket and install the new ones. 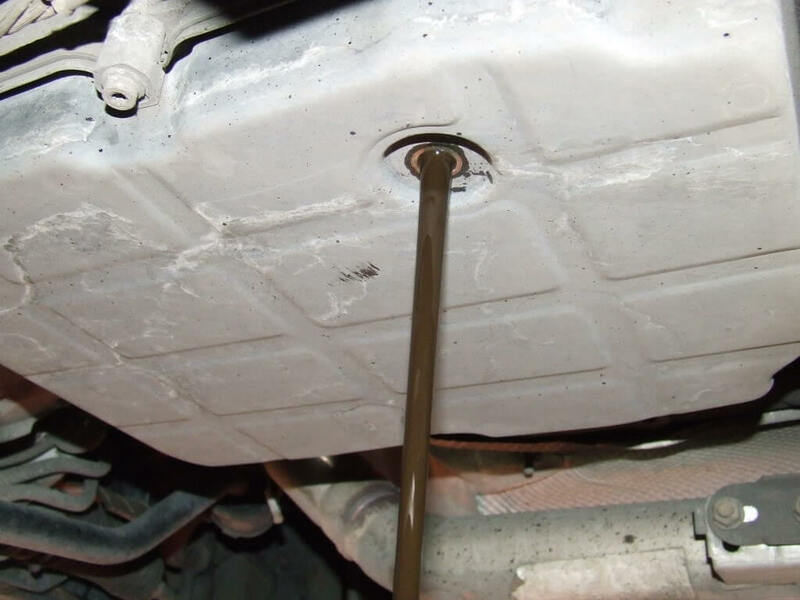 It is advised to clean up the sump pan bolts using a wire wheel and also grease the threads with a heat resistant grease such as brake grease. After cleaning up where the gasket sits, put the sump pan back in and ensure the gasket is secure on the pan. Put all 6 bolts in lightly to make sure the pan is straight and square on the box and torque all of the bolts up to 8Nm. After, refit the sump drain screw with a torque to 20Nm and clean the area with brake cleaner. Once clean, refit the heat shield. The next step is to fill the gearbox with 3 litres of fluid from the dipstick hole in the engine bay. Next step is to flush the remaining oil out of the gearbox. 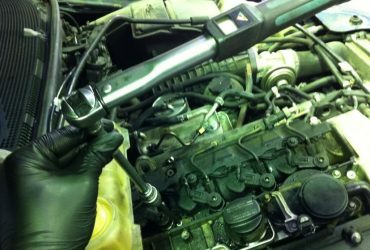 Firstly, remove the banjo bolt from the left cooler pipe attached to the bell housing (19mm and ratchet) and then discard the two old seals – the engine must be running to make the oil drip out. Once complete, remove the pipe and refit the banjo bolts with new seals. 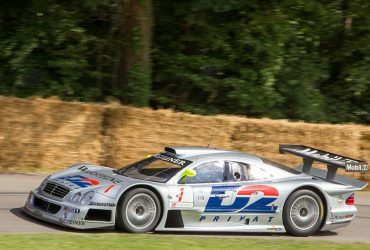 Finally, fill up the gearbox with an additional 3 litres of fluid with the car in Drive (D) and the parking brake engage, which allows the car to warm up (to 80C). 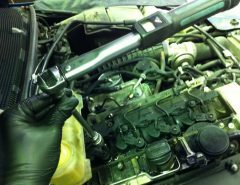 Dip the sump with the dipstick with the gearbox in Neutral (N) or Park (P). The highest level is the 80c, which must be at the top to be correct. You may need to top it up slightly (in total is 6-7 Litres) but remember to top it up small amounts at a time. 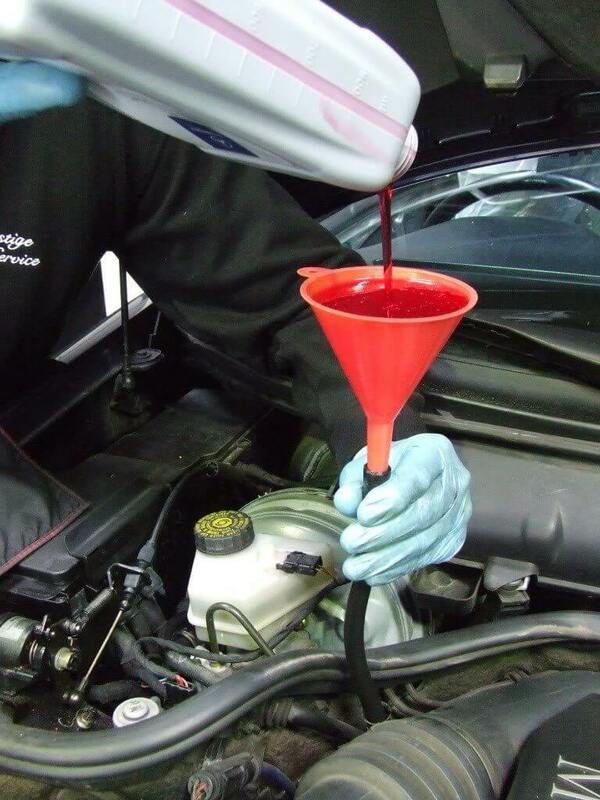 As you can imagine, it can be fairly easy to spill some automatic fluid on your garage floor or workshop. We strongly recommend that you wash it off as soon as you have finished the transmission fluid change because it can become very slippery. 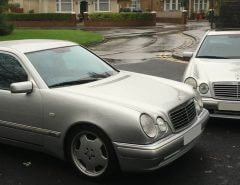 If you haven’t already, buy yourself a good pressure washer and some floor cleaner to completely remove the spillage.